This is the Jasmine Flats for Kids. 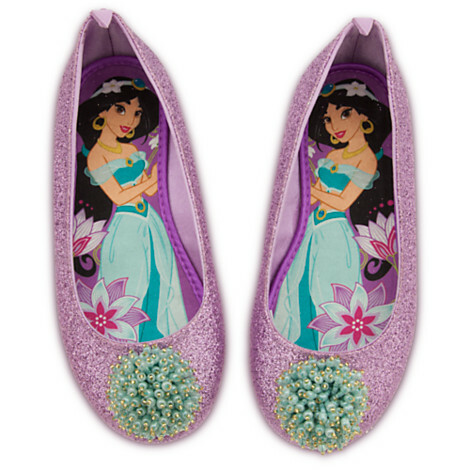 Every day your little one wears these Jasmine Flats will be a glittering occasion. 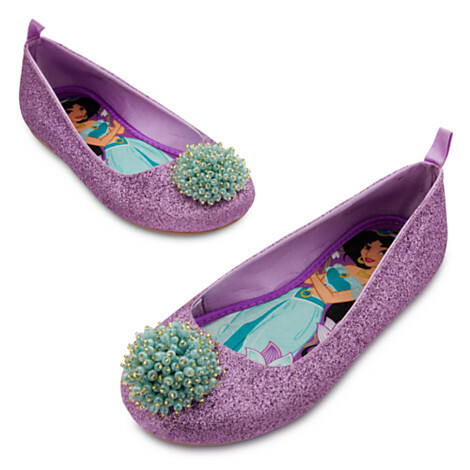 The sparkling purple uppers are accented with a florette of turquoise beads on the toes, and a picture of the determined young princess on the footbed.